ISLAMABAD: The federal government has asked provinces to make necessary changes in a gas sharing formula in order to get maximum economic output instead of wasting the scarce resource in non-productive consumption. �We have taken up the issue with the Council of Common Interests at a recent meeting and requested provinces to rationalise gas distribution,� said Minister for Petroleum and Natural Resources Shahid Khaqan Abbasi on Friday. �We also need to look into the intention of the drafters of constitution� who perhaps wanted no discrimination against domestic consumers of a province when they made it part of constitution to first meet requirement of local people of a province before supplying gas to others,� he told journalists at his first media interaction as petroleum minister. He said it was unfair that CNG was available for vehicles in a gas-producing province while fertiliser plants were closed in another province due to non-availability of gas, even though the former may be the major consumer of fertiliser produced in that province. It is also unfair that electricity is being generated from fuel which is an expensive method and has its impact on all sectors and natural gas is supplied to CNG stations. Mr Abbasi said his ministry would persuade provinces to find some other way of determining uses of gas to minimise waste. �This needs to be rationalised. Pakistan belongs to all and provinces are part of it,� he said. At present about 67 per cent of natural gas is produced in Sindh, 19 per cent in Balochistan, 9 per cent in Khyber Pakhtunkhwa and 5 per cent in Punjab. Answering a question, the minister said it was for the first time in many years that the power sector (independent power producers and generation companies) was being provided about 1 billion cubic feet of gas per day although power sector required another 60MMCFD gas to run a couple of more IPPs. LNG IMPORT: The minister said there was a propaganda campaign against LNG import projects and most of it was not based on facts. He said Pakistan had not reached or signed any agreement with Qatar for LNG import or discussed its pricing so far. 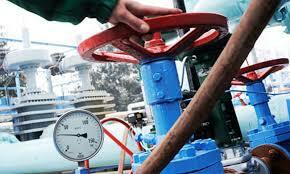 Pakistan has discussed with Qatar the option of LNG import on a government-to-government basis. Qatari oil minister, he said, had asked if Pakistan had terminal facilities for LNG re-gasification because LNG supply project could only be discussed once a terminal was in place. Four failed attempts in the past show that a terminal is important to move to the second phase of LNG imports. �Therefore, it has been decided to develop terminal in the public sector first and hold bidding for LNG supplies,� he said. He said the bidding process for terminal construction would begin in a few days so that �we have at least a firm commitment about setting up the terminal� before seeking bids of supplies at minimum price, otherwise gas price negotiations would become more complicated. Under the fast track import project of 200 MMCFD of LNG, bidding will be held among parties having jetties or Floating Storage Re-gasification Unit (FSRU) under which gas is delivered in 6-9 months after award of the contract or by October next year. Secondly, another project called SSGC Retrofitting was being examined for which bids have already been received. The minister said the technical bids were previously opened but financial bids were not opened for unknown reasons. Only one compliant bid of 4Gas Consortium, he added, was on the table and the SSGC board had been asked to examine the bid results and if found feasible go ahead with it. Thirdly, another green field terminal project for handling 500-1000 MMCFD of LNG was also being examined which may be set up at Port Qasim, offshore or at Gwadar that will take more than 26 months to complete. Answering another question, he said the government would go ahead with the Iran-Pakistan Pipeline Project and a couple of technical details would be discussed with the Iranian government. He said major financing for the project had to be arranged by the Iranian contractor who would also have to arrange co-contractors because of hesitation of international parties in view of US opposition. The minister said that although the foreign office was currently in the process of examining the sanctions on Iran and their impact on the pipeline project, Pakistan was likely to remain unaffected because Turkey and Armenia were also importing gas from Iran.